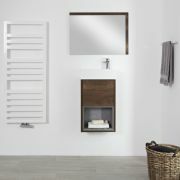 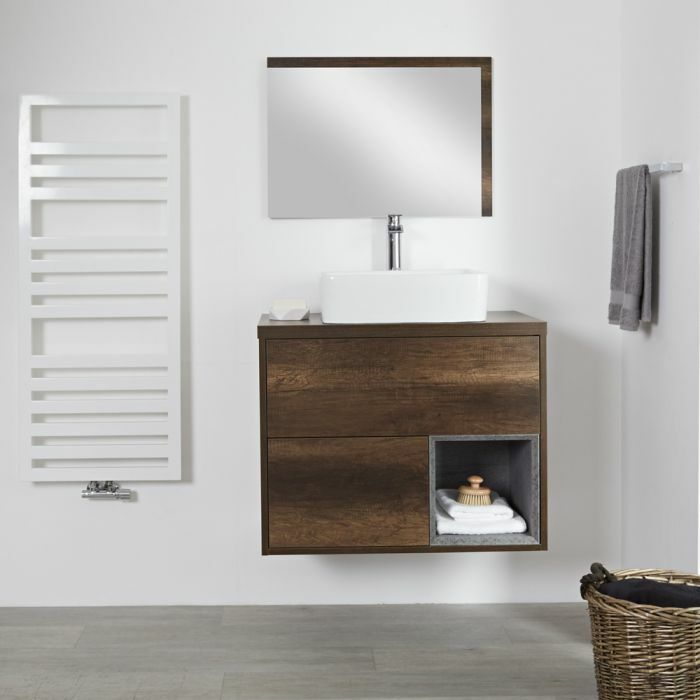 Revitalise your bathroom and add a stylish storage solution with the wall-mounted Milano Bexley 800mm vanity unit and basin. 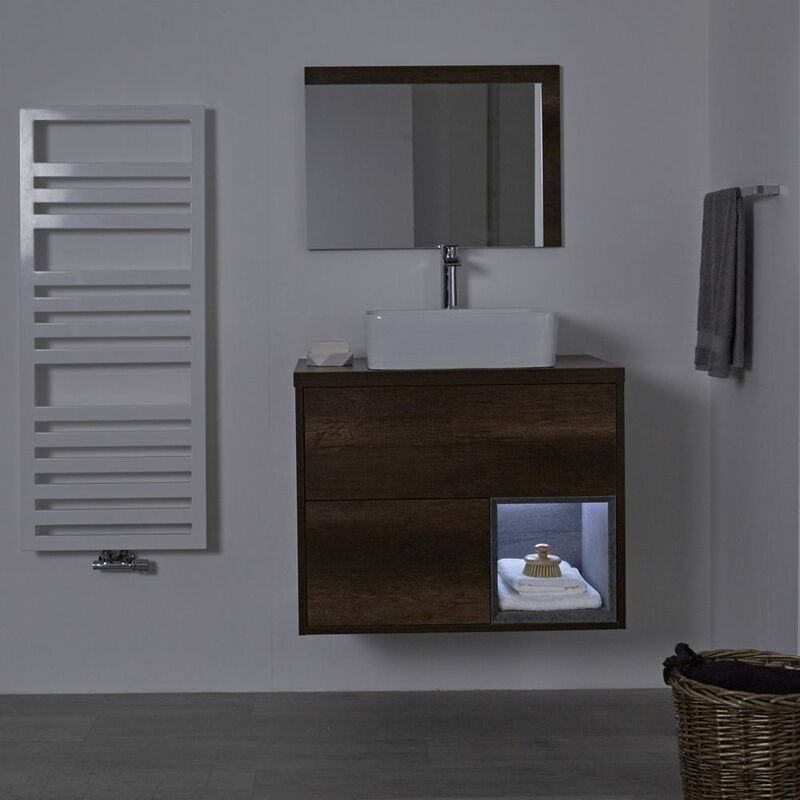 Finished in an attractive dark oak woodgrain effect, the moisture resistant engineered wood construction creates an eye-catching look that is allied to a robustness and long-lasting durability to cope with the rigours of daily use in the bathroom environment. 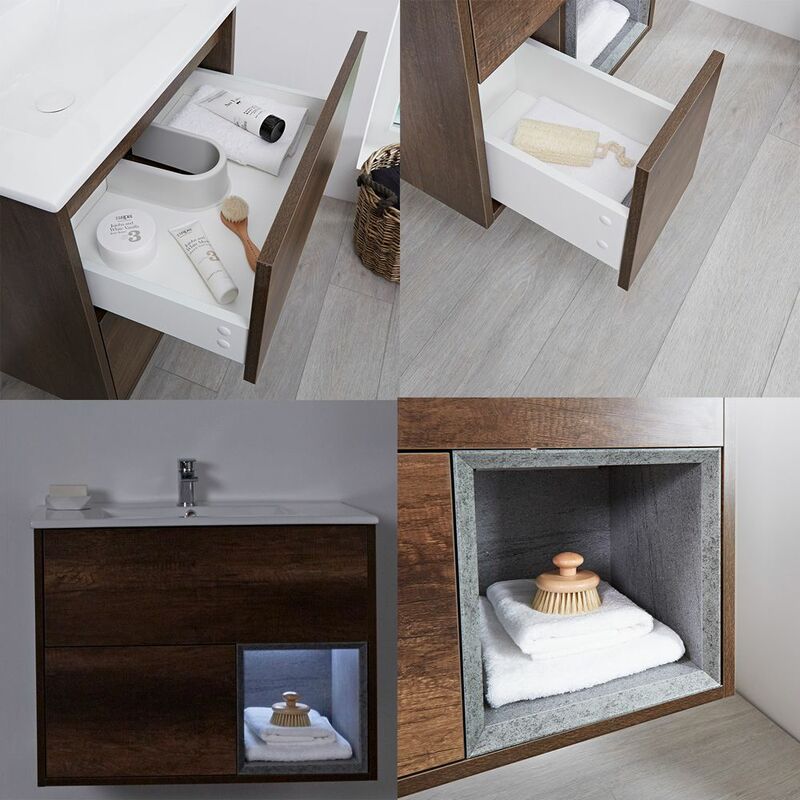 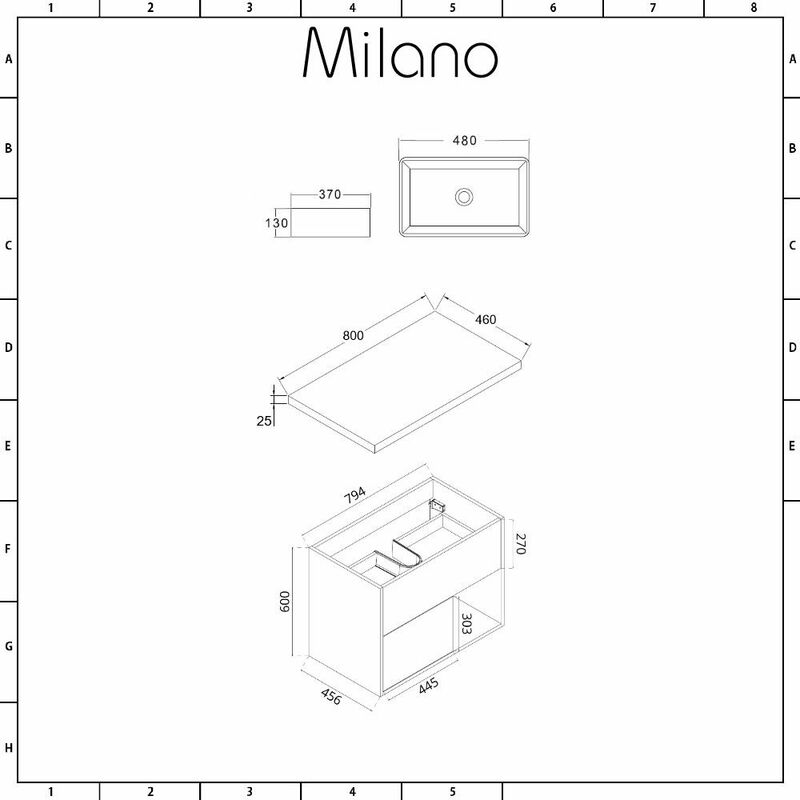 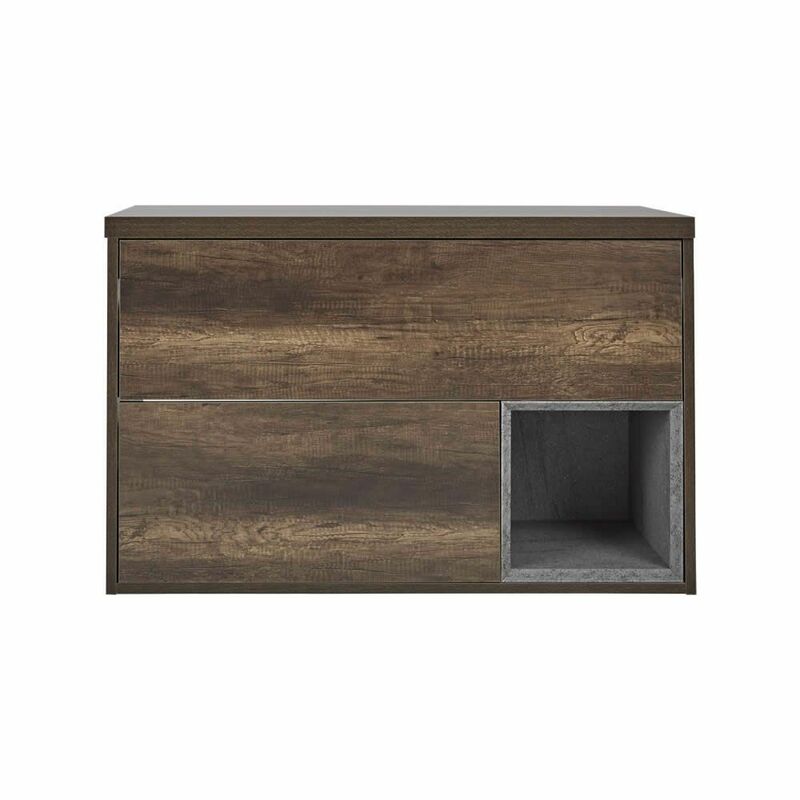 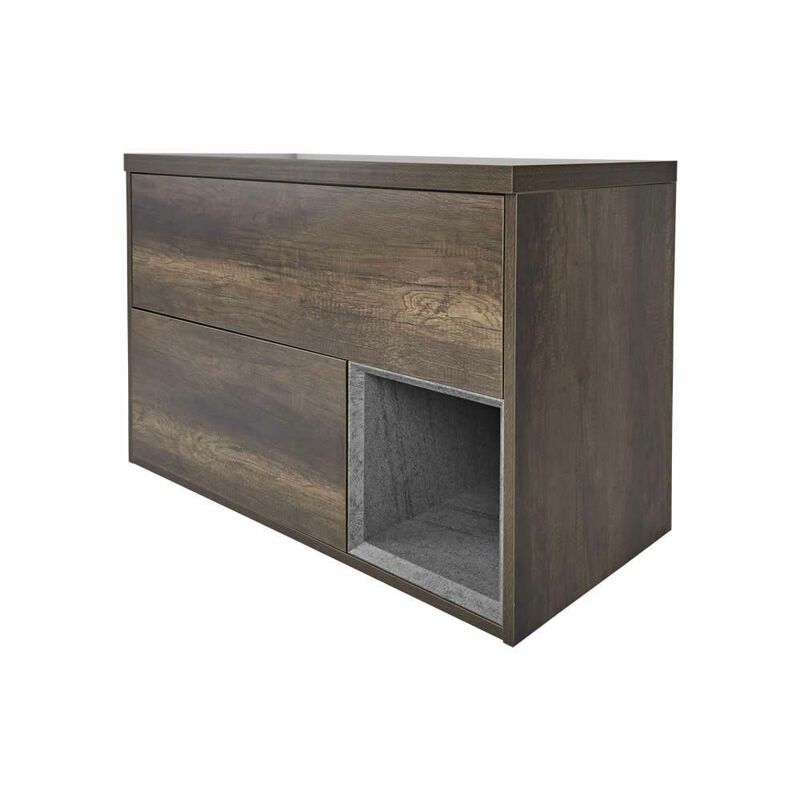 Storage for your toiletries and beauty products is provided thanks to two push to open soft close drawers and an open shelf. 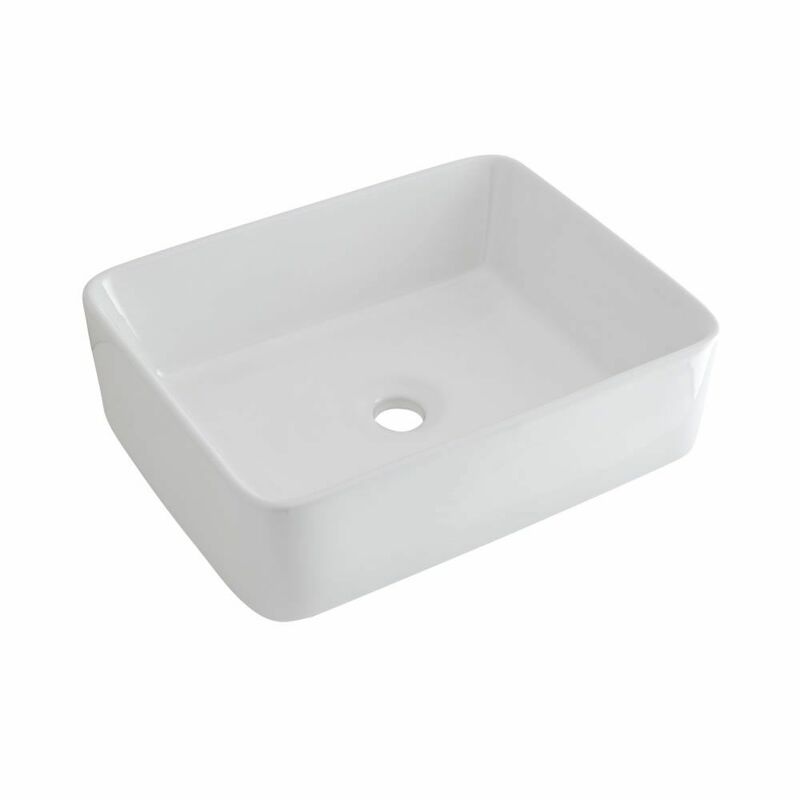 The look is accentuated by the sleek rectangular countertop basin made from high quality ceramic and finished with a glossy white glaze that is easy to clean. 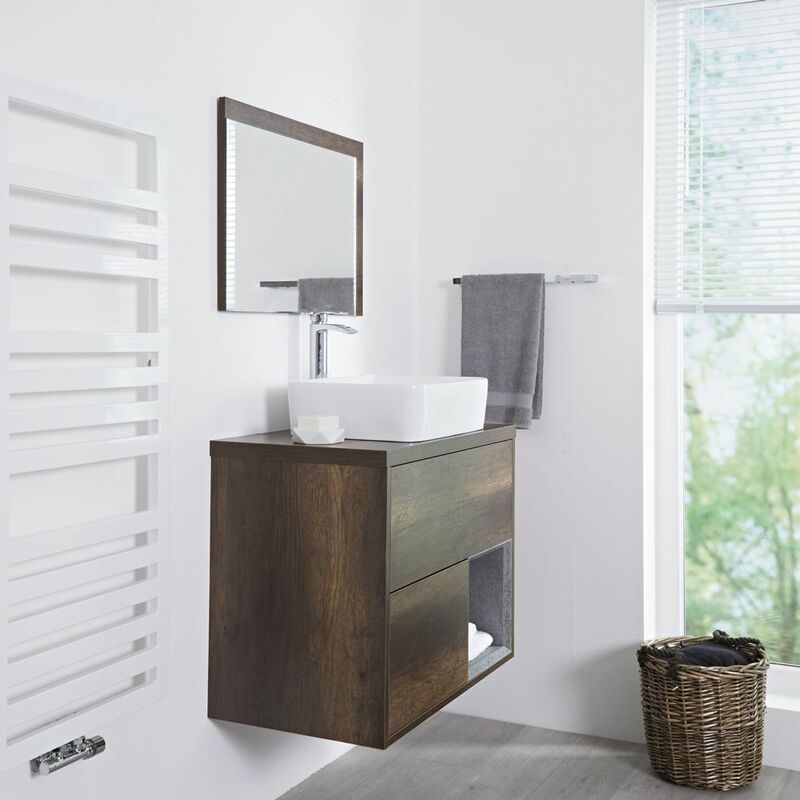 The basin does not have any tap-holes, allowing you the chance to select one of our wall-mounted or high-rise basin taps to complete the look.